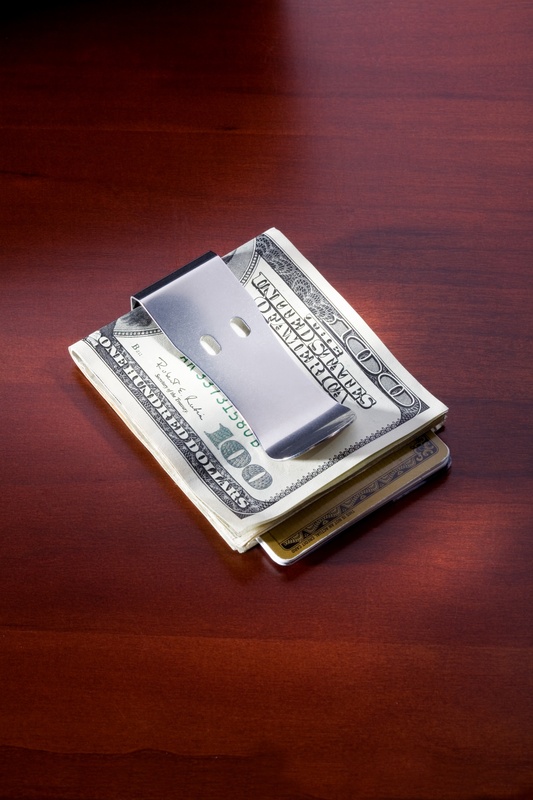 Engineered to grip sixty folded bills, or an equivalent thickness of cash and plastic, the Duck BillTM Money Clip is an affordable gift ($36, or $46 with engraving) that gives a good financial bite. 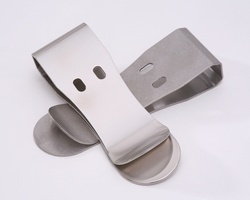 As a large capacity money clip, it is designed to be a wallet alternative. Many money clips are more non-functional jewelry than a solution to a daily design problem. New as of today, shoppers can order unique, free-hand engraving of up to twenty-four characters for personalized gifts. "Stuffed full a few times, many money clips can never again grip a few slim bills, and carrying two holders, one for cash and one for credit cards, was an obvious problem," said Tony Cornett, president and chief designer of Duck Bill Design. "Many money clips are more non-functional jewelry than a solution to a daily design problem." "After years of kitchen-table conversations, watching how people carry their dough, and giving away not-so-pretty prototypes to 'guinea pigs' who agreed to tell me if it worked, I created the large capacity metal money clip I carry today," explained Cornett, a product-design and development expert inspired by friends to improve money clip functionality. "It's cool, simple and actually works." Currency wrapped around plastic, no moving parts and spring-tension steel add up to a gift that guarantees a great money clip experience good enough to replace any wallet. Quad Bend BiteTM for a pinch that keeps holding Spring tension steel that snaps back to original form Matte or polished finish options Optional engraving – New, for personalized gifts Embossed steel gift box Free shipping in the US via first-class mail Gripping up to sixty folded bills, or an equivalent thickness of "stuff" such as six credit cards, one driver's license and twenty folded bills, the Duck Bill Money Clip can replace a wallet for most men. "The Duck Bill name came together when I was looking at a prototype," said Cornett. "It was a classic Eureka moment. Hey, it looks like a duck's bill – nostrils, an upturned upper bill – and that was it!" The free-hand engraving option for customers to order more personalized gifts came out of a chance encounter when Cornett was shopping at a store during one of Ken Brown's engraving events. Cornett pulled out his money clip, master-engraver Brown engraved it on the spot, and so it began. The Duck Pond Blog invites photos, video and conversation about the Duck Bill Money Clip user experience. Chief-designer Cornett welcomes input about the original design and future ones. "Drop in, paddle around and quack it up," says Cornett. "If you MacGyver some amazing situation, or craft a modification unique to you, we want to hear about it and see it here. If you're really a wallet person and received it as a gift, tell us if it does or doesn't work for you." 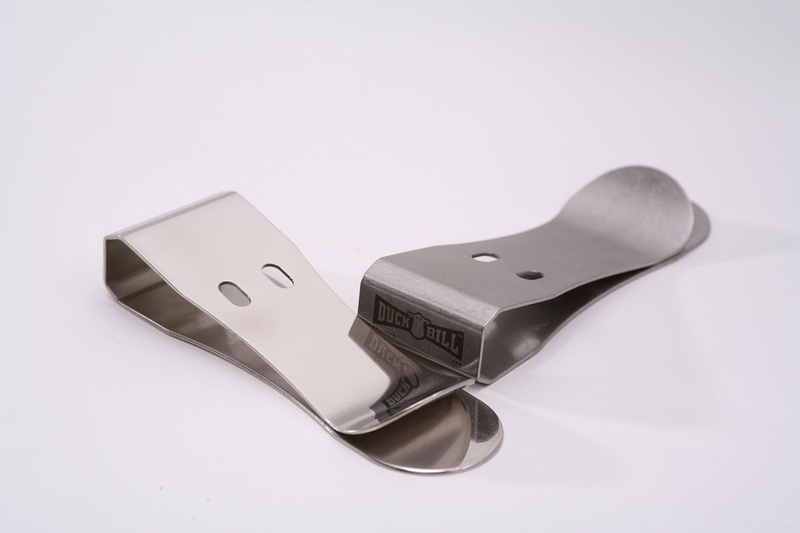 Duck Bill Design, LLC is home to the patent-pending Original Duck Bill Money Clip. On the web since November 2007, the Duck Bill Money Clip is also available from select Dallas retailers including the Nasher Sculpture Center Stores, Culwell & Son and iota. Duck Bill Design, 3512 Stanford Ave., Suite 200, Dallas, TX 75225; 214.212.0509; email: customerservice@duckbilldesign.com; Web site: http://www.duckbilldesign.com. Note: Press samples and additional photos are available.